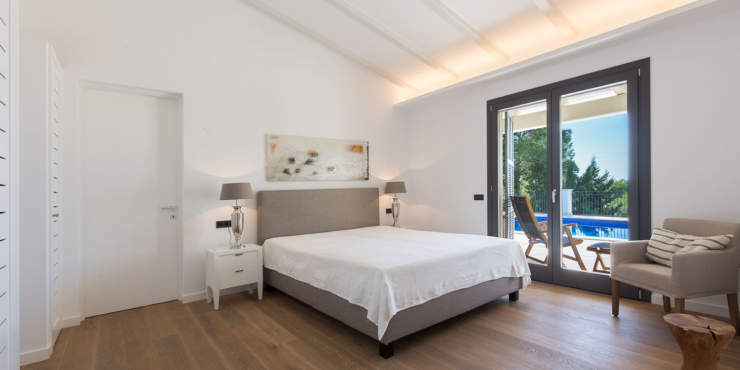 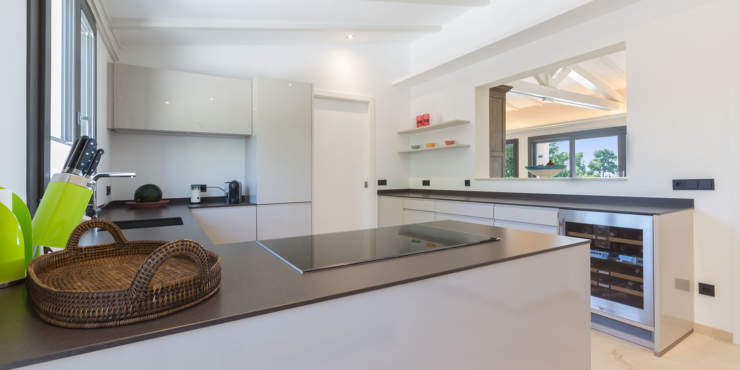 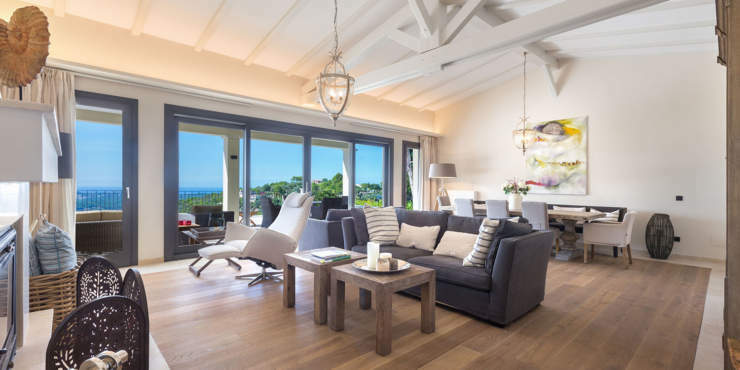 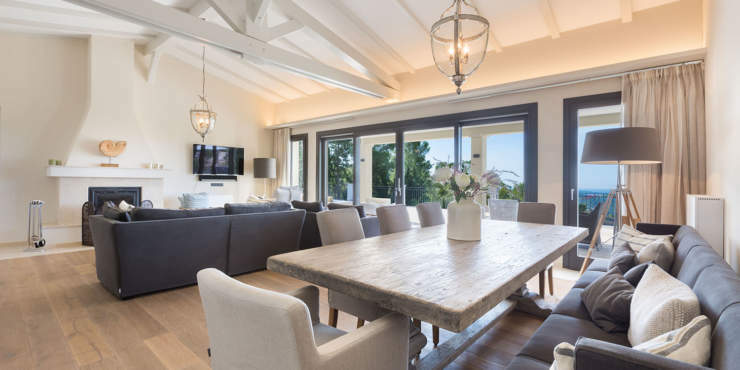 This luxurious villa on only one floor was completely refurbished in 2017 and now boasts a very stylish design and pleasant ambience inside and outside. 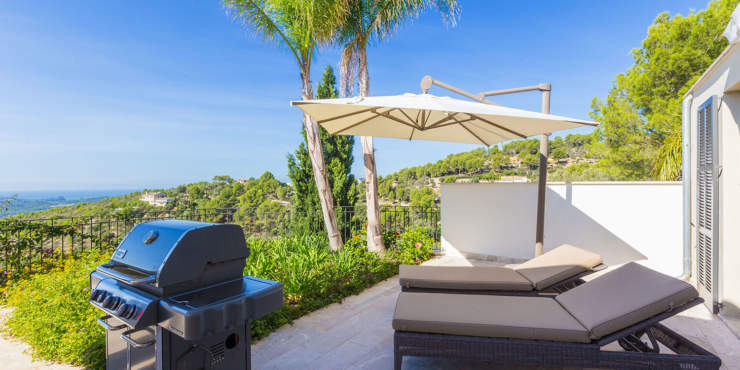 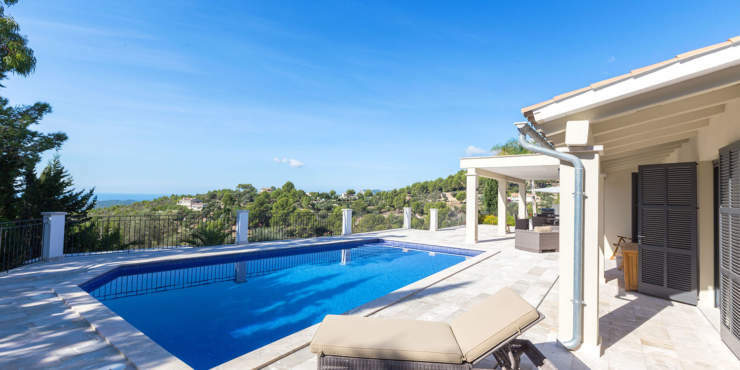 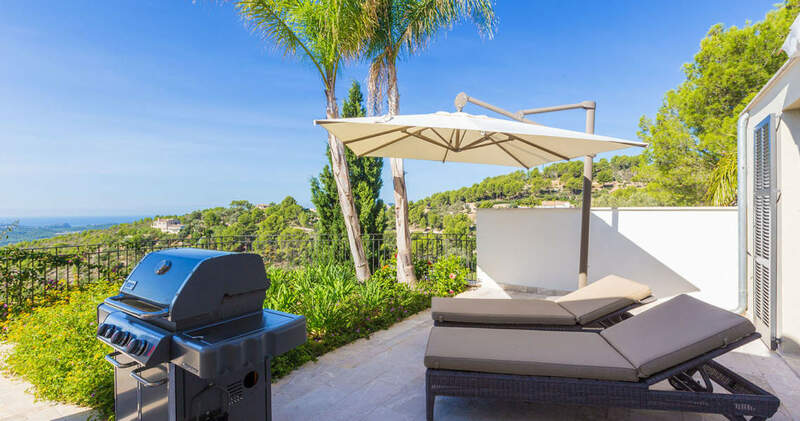 It is located on a 4.000 m² plot in an absolutely tranquil, guarded villa urbanization amidst a pristine scenery at the foothill of the Tramuntana mountain range and high above the capital of the municipality, Calvia. 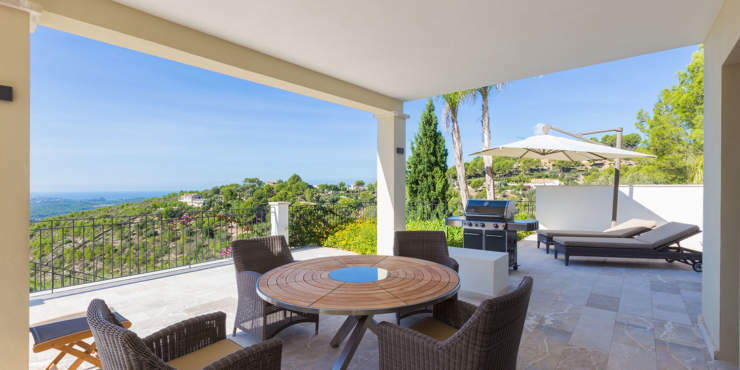 Despite its idyllic surroundings, the coastal resorts of the south-west with a perfect infrastructure, several marinas, beaches and golf courses are just a short drive away. The south-west facing property offers all modern amenities and features a living/dining room, the kitchen, three bedrooms with en suite bathrooms, a guest toilet and a storeroom. 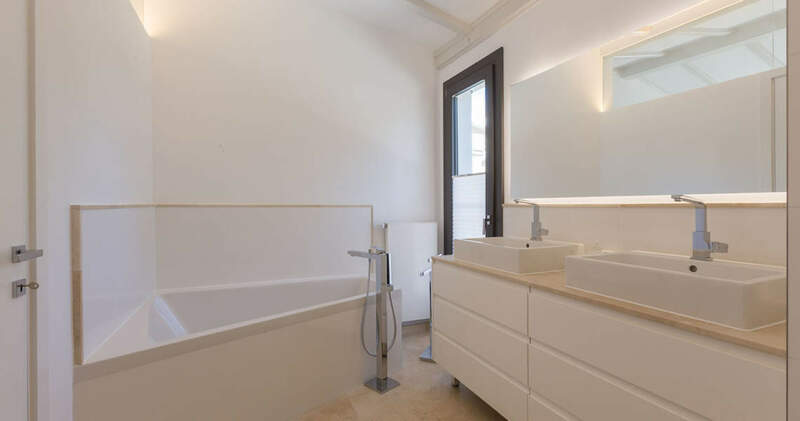 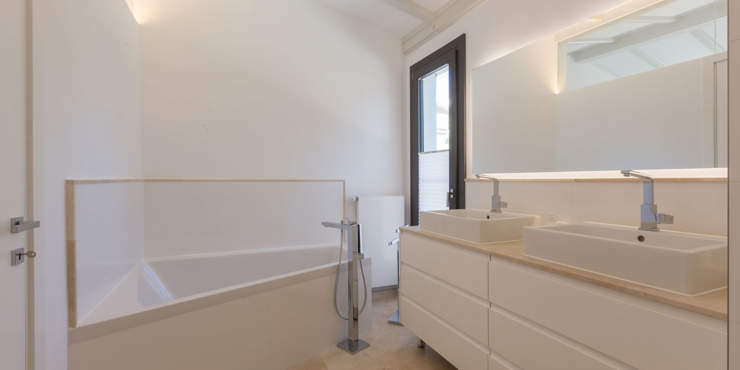 In addition, there are engine rooms and a utility room with separate access. 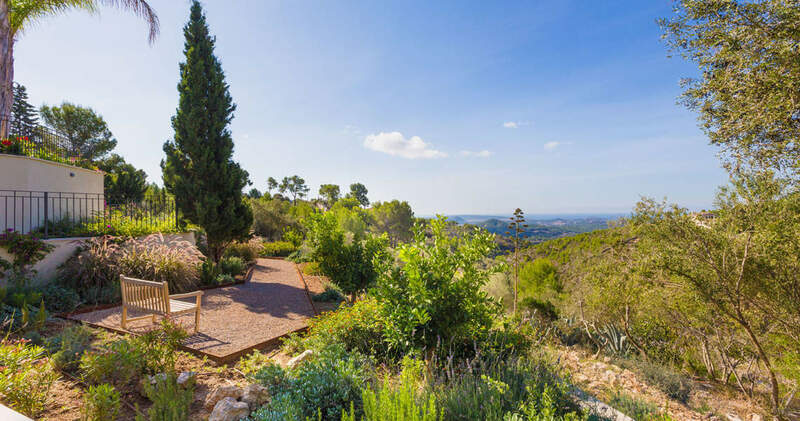 The house is surrounded by beautiful, automatically irrigated gardens and the copious, naturally grown plot guarantees absolute privacy. 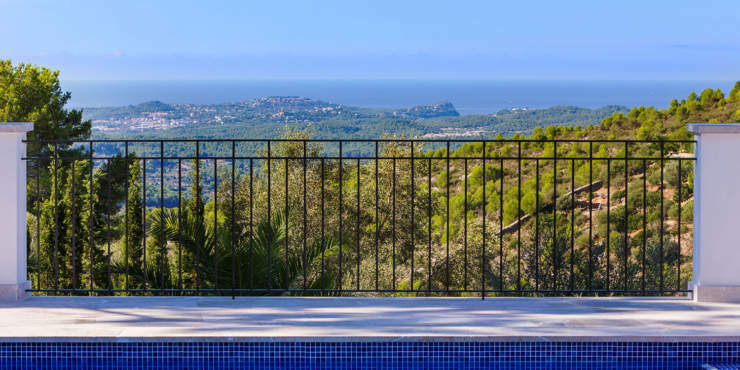 From all rooms as well as from the spacious, partly roofed pool terrace one enjoys fantastic, far reaching panorama views as far the sea.